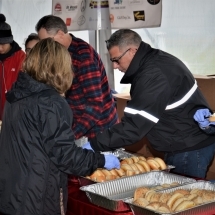 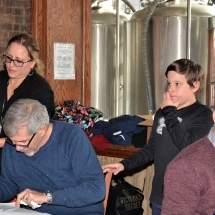 The event was managed by the club’s members along with 150 volunteers who were Patchogue Medford High School Teachers, Key Clubbers and Venture Crew. 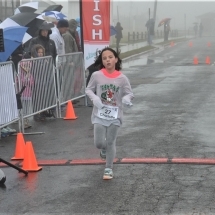 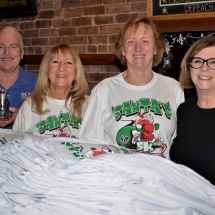 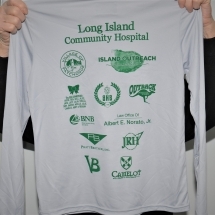 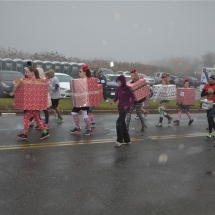 Runners contributed over 300 toys which were distributed for needy children of the Greater Patchogue area. 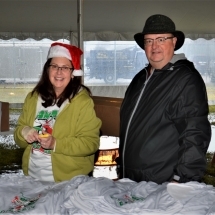 Over $30,000 of sponsorships and running fees was also raised to fund Kiwanis Club youth service projects such as scholarships and kamperships. 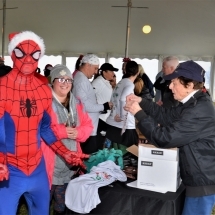 Festive costumes added to the seasonal flavor of the event chaired by member Nicholas Harding. 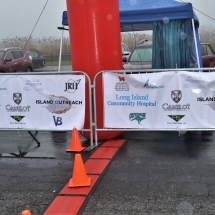 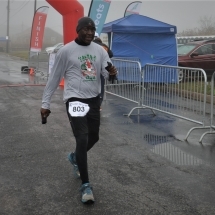 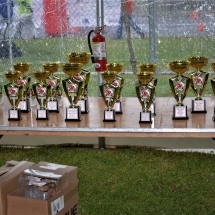 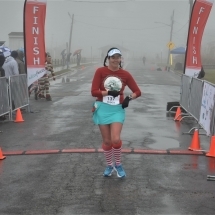 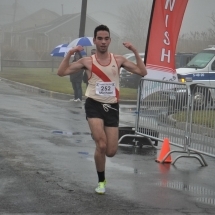 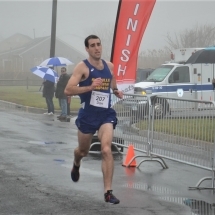 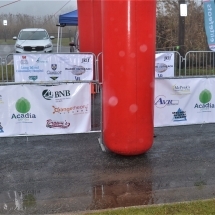 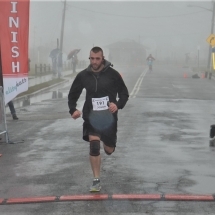 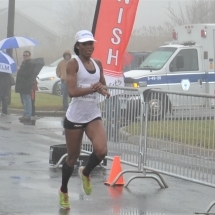 The race which was held at Patchogue’s Shorefront Park was timed and administered by Elitefeats.com. 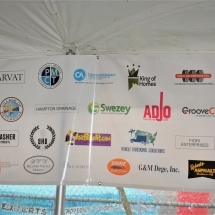 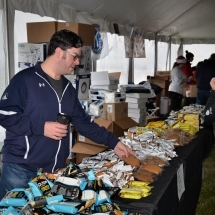 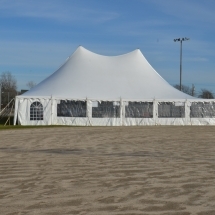 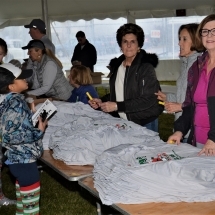 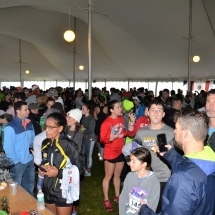 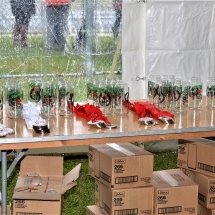 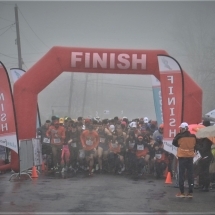 A temperature controlled 1,200 person tent protected the runners and volunteers. 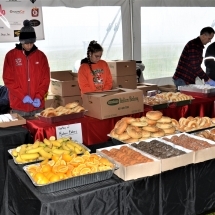 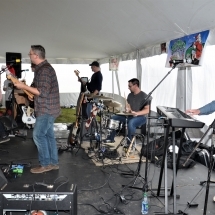 All were treated to food and music during and after the race. 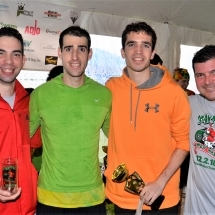 Shown here are Male race winners with their trophies, (From the left) 1st Place, Michael ierbert with a time of 15:53; 3rd Place, Dan Gargaro; 2nd Place, Joe Greico; and Ryan Vollmuth, President of the Patchogue Kiwanis Club. 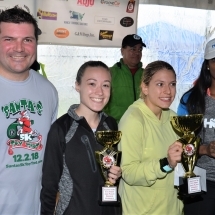 For the Female picture, President Ryan Vollmuth; 3rd Place, Marissa Cossaro; 2nd Place, Jessica Donohue; and 1st Place, Rolanda Bell with a time of 16:58. 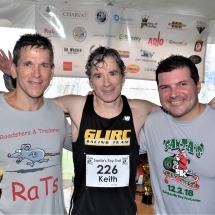 Not shown are winners of the 1 mile Mrs. Claus run: Males- 1st Place, Tim Williams with a time of 6:24; 2nd place, Jason Figari and 3rd Place, Colin Spier. 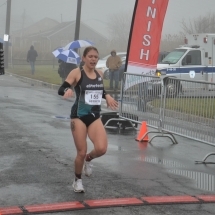 Females Winners were: 1st Place, Tracy DeHayes, with a time of 8:22; 2nd Place, Charlotte Barry; and 3rd Place, Alexis Hartmann. 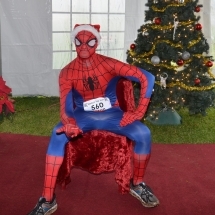 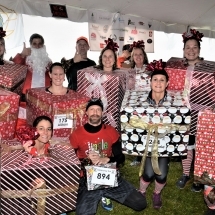 A special prize was awarded to the best costumed running group shown here in their racing costumes. 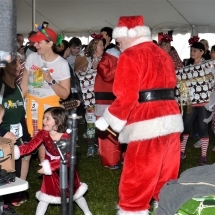 Santa Claus also livened up the festivities and entertained with some North Pole dancing to a live band.